What you top your cake with determines how it is stored. 4 What Will Happen if You Refrigerate Fondant? The icing on the cake brings the cake together, but it also provides a layer of moisture and protection that prevents your cake from drying out. After making a frosting it is important to store it properly to, you need to store it properly to prevent spoilage. Of course, if you notice a sour smell, or your frosting has separated, discard it immediately. Whipped cream frosting is made from heavy whipping cream, powdered sugar, extract and sometimes meringue powder for stabilizing. It yields a creamy, airy frosting that can be used to fill and top cakes. 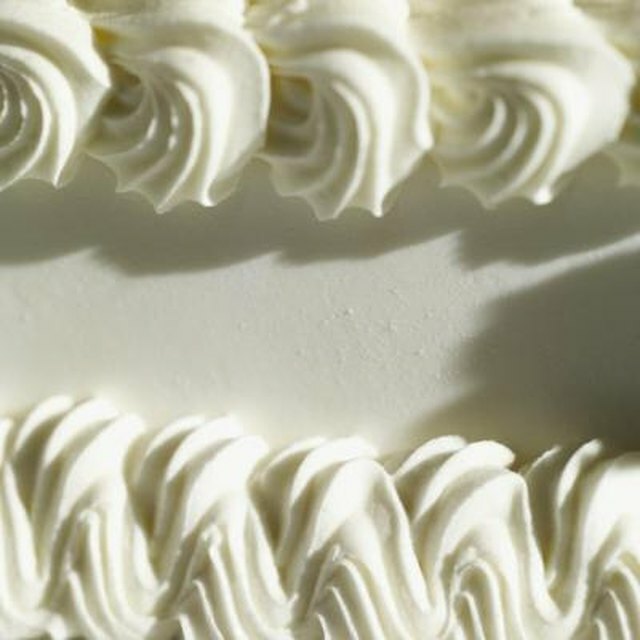 Whipped cream is delicate and is typically used on single-tier cakes rather than stacked cakes. It does not hold up well in high temperatures or humidity and is not a suitable frosting for cakes that are covered in fondant because of its storage requirements. Since whipped cream frosting is made from heavy whipping cream it requires refrigeration. Once whipped you can store the unused whipped cream in the refrigerator for up to two days. 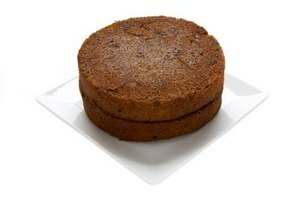 If placed on a cake or used as a cake filling, the cake must be refrigerated whole and eaten within two days. An American-style buttercream is made from room-temperature butter, shortening, extract, confectioner's sugar and milk. It is whipped in a mixer until smooth and fluffy. Because butter has a melting point of 88 to 98 degrees Fahrenheit it is more stable than whipped cream. Buttercream can be used to frost cakes, cupcakes, incorporate into cake fillings and is a suitable layer between cake and fondant. Buttercream is more stable than whipped cream and doesn't require refrigeration once on a cake. A buttercream-covered cake can be stored at room temperature for two to three days as long as it is not filled with other perishable ingredients -- such as fruit, custard or whipped cream. Buttercream cakes are sensitive to light, humidity and heat. If your frosting has been tinted the colors might fade, deepen or your buttercream decorations might droop. Store your decorated cake in a cool, dark area to prevent this. Unused buttercream can be stored in an airtight container in the refrigerator for up to two weeks or frozen for up to 3 months. The Kitchn: Baker's Tip: What to do With Leftover Buttercream? Does Cream-Based Frosting Have to Be Refrigerated?